1. An optimum preparation through an accurate survey- A professional analysis of local conditions combined with detailed measurements guarantees a Garden design that will be practical in its approach and is 100% viable. 2. Tailor-made design concepts thanks to serious needs analysis – Only after we have understood all your ideas, needs, likes and dislikes are we able to produce an individual Taylor-made solution. Together with you we develop a list of needs of your specific ideas and wishes for your future garden. This, together with an individual selection of images chosen by you and our knowledge of local conditions, forms the basis for our garden design. 3. Unconventional, creative ideas – Thanks to our experience as garden designers, you will receive unique, highly creative and aesthetic garden design proposals. Gardens are our passion! There are hardly any other jobs as creative as designing a garden. Various materials can be combined in an infinite variety of forms and ultimately, we also work with the lively dynamics of the plants. Be inspired by our creativity and experience completely new solutions and ideas for your garden design. 4. Accurate presentation through clean visualization – true to scale design plans and perspective visualizations, as well as carefully selected image examples give you exactly the future appearance of your dream garden. The most modern CAD programs support our daily work. Thanks to years of experience and the planning of countless gardens, we can assure you that even the most demanding and technical projects will be planned safely, seriously and realistically. Challenge us, we look forward to your garden project! 5. Optimizing your budget – Planning is only useful if financially viable. Nothing good about an exciting and creative garden design if it is going to break the bank! You deserve the best possible design that meets your personal needs while not exceeding your budget. A serious garden design takes this fact into account. 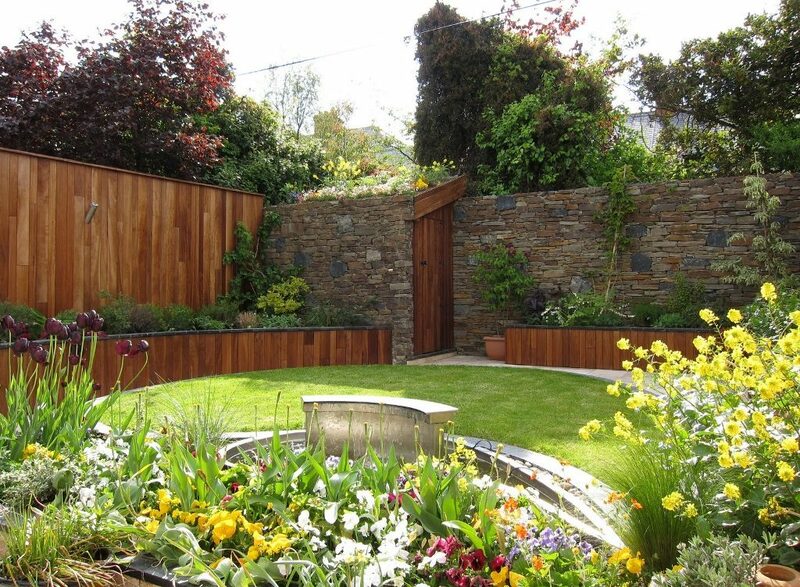 Ultimately, you should be able to enjoy your garden in the end and not just have a nice garden plan.
. The possibility of a staged implementation – Only if you have a clear picture of the finished garden are you able to stage the building process. This avoids unnecessary additional costs due to lack of planning, when re-starting a project, you will be able to continue where it was left without unnecessary ground works, demolition etc. Within the draft, we will show you various options, explain you a possible approach and calculate the expected construction costs. 7. Possibility to compare – A sound garden design is necessary to be able to compare prices from different contactors. Only when you can outline your future garden and know the materialisation of the individual elements exactly will you be able to obtain comparable offers. Since you purchase our garden concepts, you also own the intellectual property and can duplicate the plan documents as often as you like. 8. Full transparency – you receive a holistic concept with consideration of all necessary work. This gives you the assurance that no hidden costs will be incurred afterwards. 9. Cost Savings – An elaborate garden design saves money in execution. By avoiding duplication, misunderstandings and incorrect work processes in the implementation. 10. Sustainable solutions – You get a garden design that will give you pleasure even after years. By implementing sustainable practices, the garden is being built in an environmentally sound manner and sensibly implemented. A sustainable garden, also a natural garden, is a consciously sustainable open space designed by humans. This mainly consists of building elements such as dry walls, wooden constructions (Wood decks,pergolas,Gazebos,etc. ), natural ponds also swimming ponds or bio pools, small or large water streams and other water features, gravel surfaces or natural stone paths and patios. All these surrounded by planting zones that complete and bring life to the built elements. A man designed and built environment that promotes the development of holistic, natural ecosystems.